Definition at line 37 of file lldrawpoolstars.h. Definition at line 40 of file lldrawpoolstars.h. Definition at line 43 of file lldrawpoolstars.cpp. Definition at line 54 of file lldrawpoolstars.h. Definition at line 46 of file lldrawpoolstars.h. Definition at line 48 of file lldrawpoolstars.cpp. Definition at line 53 of file lldrawpoolstars.cpp. Definition at line 58 of file lldrawpoolstars.cpp. References LLPipeline::disableLights(), f, face, gCamera, LLCoordFrame::getOrigin(), getVertexDataMask(), gGLViewport, glBlendFunc, glDrawElements, glPopMatrix, glTranslatef, gPipeline, LLPipeline::hasRenderType(), LLFacePool::mDrawFace, LLDrawPool::mIndicesDrawn, LLVector3::mV, LLPipeline::RENDER_TYPE_SKY, and S32. 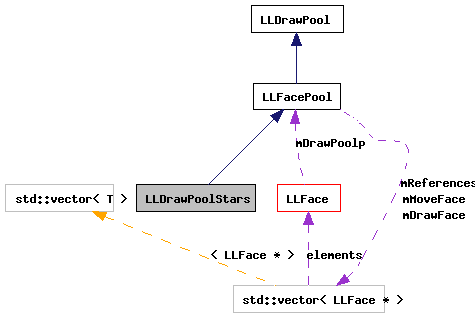 Definition at line 118 of file lldrawpoolstars.cpp.